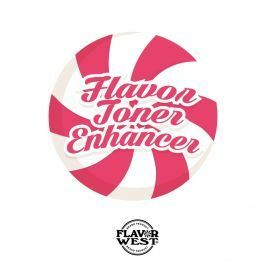 Flavor Toner/Enhancer flavoring does wonders in it nature, it comes with enhancing agents that helps soften harsh notes. Type: Flavor Toner/Enhancer Water Soluble Flavoring. Ingredients: Natural and artificial flavoring, Ethanol and propylene glycol. USP Kosher Grade Flavoring. Usage Rate:5-8% for E-use. Flavor Suitability: Drinks, beverages, ice cream, sandwich, candies, baking treats and more. Specific Gravity: 1.07 No Refunds on Flavoring. I'm sure someone will like it, but it is not for me. I tried a few drops of this by following tutorials I found online. I was thinking this would be a good way to even out the peaks and valleys of flavor transition. What I found was that it seemed to mute all of the flavors into vagueness. As an analogy, it's like using watercolor paint. The painting looks great when you look at the individual colors, but if you look at the water cup you use to clean your brush, it's gray. This seems to make my flavor mixtures into gray water. Again, I'm sure there's a good use for it to balance over strong flavors. I could see using this as a batch saver if you mixed a VERY strong tobacco mixture and needed to tone it down.